At Intacct, a cloud financial applications solutions provider headquartered in Silicon Valley, we implemented many of the steps below; The Company was recently acquired by Sage Software for $850 million, or nine times the revenue run rate. There are several definitive steps any CEO or business owner can take to create a successful exit. One of the overarching themes is to get known by potential acquirers or strategic partners. These potential acquirers or partners need to experience firsthand the value your company can deliver to the marketplace or your target audiences. There are many types of sell with or sell through channel partnerships a company can create, but the most valuable are embedded or OEM distribution partnerships where your service or solution is private labeled by the partner and embedded in every sale. This type of partnership eliminates the challenge of presenting the contractual relationship between your company and the partner company to prospective buyers. Embedded sales also create a dependency by your strategic partner on your ongoing services and support. When I was COO at an enterprise energy management software company, one of our strategic partners — CGEY — sold our solution as their own. This eliminated any friction in the sales process and leveraged the excellent strategic relationship CGEY had with its’ enterprise customers. Finally, these strategic partners also can become strategic investors without giving up control of your company or board seats. Many companies sell horizontal solutions that can address the needs of many customers and many markets. 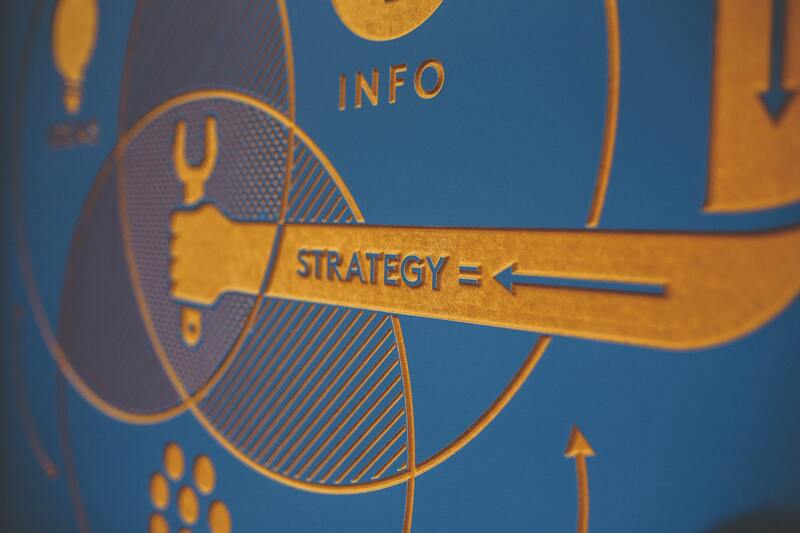 Where you have traction, it is always better to deploy a strategy to win a specific market. That market could be an industry like healthcare, a geography, or enterprise vs. SME. One of our customers has sold to the same niche market for 12 years. I asked them how many companies were in their target audience and they did not have the exact number. We discussed the difference between having a “competing strategy” and a “winning strategy.” We helped them determine the exact number of companies in that niche market and then reach every stakeholder at every company. This focused approach helped them penetrate and win 100 percent of that target market. When you “win” a target market everyone realizes it is easier to acquire you and get these customers than to try to unseat you. All companies can create “sticky” recurring revenue streams. Everything has become a subscription; A recurring revenue stream gives any potential acquirer greater visibility and reassurance into the future years for revenue and cash flow and they can add a churn factor if they want to adjust their projections for customer attrition. The challenge with any acquisition is the retention of significant employees and customers after the acquisition. I have seen many cases where the “rainmakers” or significant employees leave the company after the acquisition and future and this erodes the continuing value of the acquired company. As an example, a professional services company may be acquired for only two times revenue whereas Intacct was acquired for nine times revenue given its’ recurring revenue model. In any market, it is always a good sign if you can replace the status quo leaders in that market. It proves to your audience your services or solutions are robust enough to unseat or replace the status quo or legacy leaders. This is especially important to prove if you are selling into a replacement market and there is a question about the size of the addressable market. At Intacct, many companies were already using a financial accounting solution like QuickBooks, so it was important to determine the inflection point and why someone would outgrow their current financial accounting solution. In any market there are well-recognized, Fortune 500 companies that would qualify as wonderful Lighthouse accounts. Once a Lighthouse account starts to use and benefit from your services or solutions it is much easier to penetrate that specific market. This is as close as you can get to reference or referral selling. When I was the CRO at RightWorks we provided an eProcurement solution that could be used to manage in-house procurement and provide an external e-commerce marketplace. One of our first customers was Wells Fargo and they became a great partner and customer. At that time Wells Fargo was the largest provider of small business loans and they recognized the opportunity to pass along their significant discount to their customers through their externally-focused e-commerce marketplace. Once they proved out the model, many other banks and financial services institutions also became customers at RightWorks. Often young, nimble companies can innovate much faster than large, established companies. The key here is to innovate where the market is headed so potential acquirers want to leverage that innovation. Intacct was always a SaaS, Cloud native offering. Many of the established financial application solution companies were primarily offered on premise. As the cloud became more popular and accepted, the need and later the imperative to offer a cloud alternative became more compelling. Today everyone offers a cloud version. Another example is expanding into markets that have a rapid or higher adoption rate. When I was COO at an enterprise energy management software company, the main industry focus was on utility market. This is a great market, but sales cycles can take several years. So we expanded into the industrial market and focused on industries that had high energy consumption. Ultimately that company was acquired by much larger company that also wanted to diversify beyond the utility industry. Last is to prepare for the potential acquisition. When an acquirer knocks on your door they will want to audit your financials, customer and partner contracts, intellectual property and patents, etc. Keep everything organized so it is easily accessible to prove your value. Another good practice is to negotiate strategic partnerships so it is easy to ascertain the economic value of any partnership. Are there minimum levels of performance required? Is the economic exchange easy to quantify? When a contract or statement of work is undertaken is there written proof or agreement that all work has been performed? This eliminates any concern about litigation or exposure later in time for the acquirer. Robert Jurkowski is the Founder and Managing Partner for a Global Revenue Acceleration Agency, On Demand Advisors. He is a revenue growth expert and works closely with business leaders to help them grow revenue dramatically and win their target markets. As an operating C-level executive he has led some of the most successful software and cloud companies in Silicon Valley. As CEO, COO, and Chief Revenue Officer for both public and private companies, Robert understands how to grow extraordinary teams, drive profitability and triple digit revenue growth. You can reach Robert at rjurkowski@ondemandadvisors.com or call him at 1-800-208-5688.